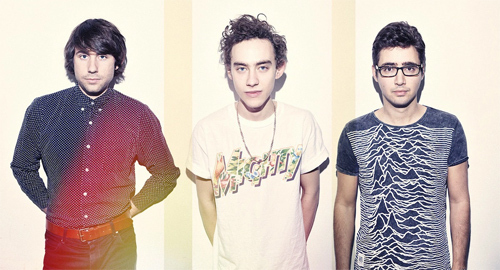 Eyes Shut has been knocking around the Years & Years setlist for ages, having first appeared on the band's Real EP in February 2014, when they were signed to boutique pop label Kitsune. It was subsequently re-recorded for their major-label debut, Communion, earlier this year and now it is finally being given a full single release. You can see why the band are so keen to revisit it - Eyes Shut is the heart of the album, a touching, moving piano ballad that packs a huge emotional wallop in the midst of all that effervescent froth. It sees singer Olly Alexander confront his shyness, and discuss the "public disguise" he wears to keep his sanity. The video illustrates that beautifully - as Alexander walks through a derelict building and a broken city, isolated from those around him. It's also worth checking out this acoustic version of the song which, if anything, is superior to the studio recording.